Grab your towel and walk out onto the beach. Wake up to spectacular sea views & the famous Durban Golden Mile with all its attractions: uShaka Marine World, coffee places, restaurants, venues such as International Convention Centre, Sun Coast Casino and Mabhida Stadium. Enjoy promenade cycling, swimming pools, skate park, surfing, outdoor gym & more. This well equipped self-catering apartment is close to shops, public transport & few steps from sand! It has excellent WIFI & is a perfect spot for solo adventurers, couples & small families. It comfortably accommodates two people and there is additional double bed in the lounge to host another two. The apartment has it all from the internet to basic spices. Electrical stove and microwave is available for self-catering and washing machine, washing powder, rack to dry clothes and iron is also in place. Should the weather turn grey which hardly happens in Durbs, DSTV is there for entertainment with its sport and movie channels. We love Durban beach. It is one of the best in the World. It has a wide promenade so you can walk or bike for kilometers North and South. It has many attractions such aquarium, swimming pools, diving, surfing and of course beach volleyball. It has plenty of restaurants and coffee shops and a bar on pier to chill on. It is right in the city so Durban events are all within your reach. And did we mention the weather? You will find yourself in flip flops 365 days of the year. Right outside of the apartment's door. Our apartments are located on the Golden Mile - Durban city. Indian ocean is right outside of our apartments. Direct ocean view is from the lounge. Oceanfront has a wide promenade called Golden Mile where is possible to hire bikes or skates or simply great for a morning run or a coffee in a close by Afro Chicken spot. Apartment has a bedroom with a king size bed and a lounge with Murphy bed - double bed that sleeps another two persons. 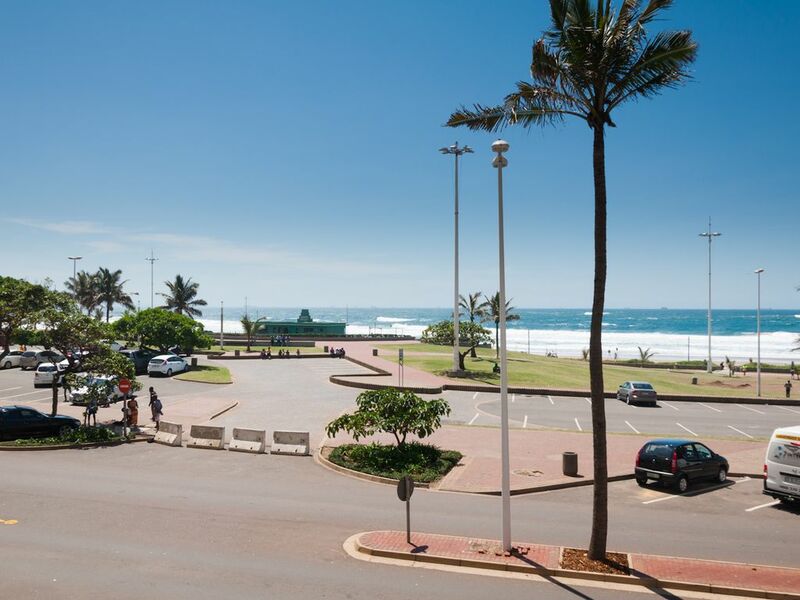 We are located in a small block right on the Durban beach front - South Beach - city beach.